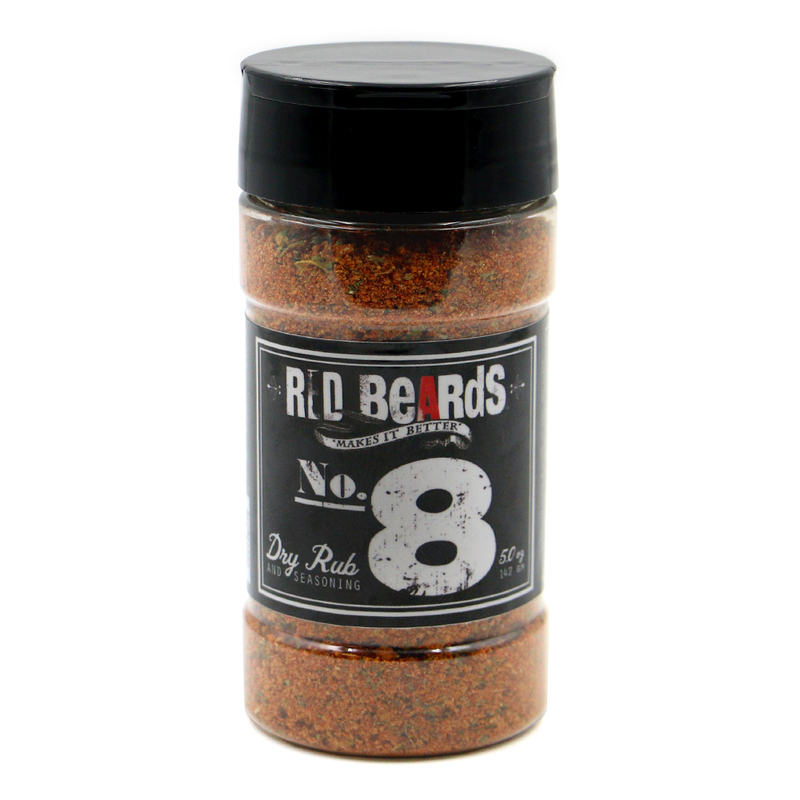 Made on the foundation of RedBeards Salt, this “Earthy and Herby” Dry Rub makes every protein taste better. Yes, it tastes as good as it looks! 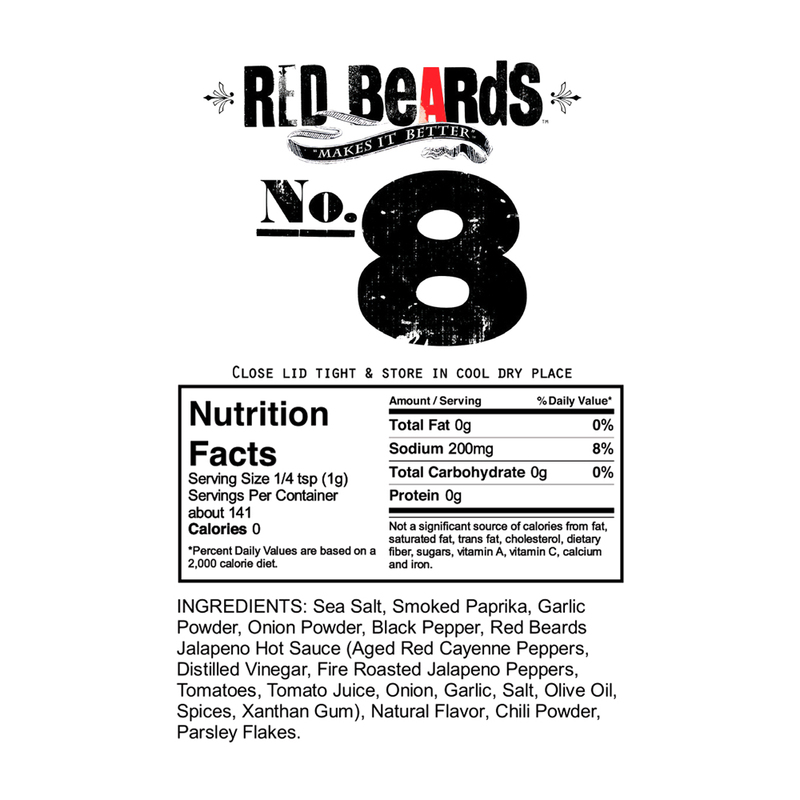 Mix RedBeards No. 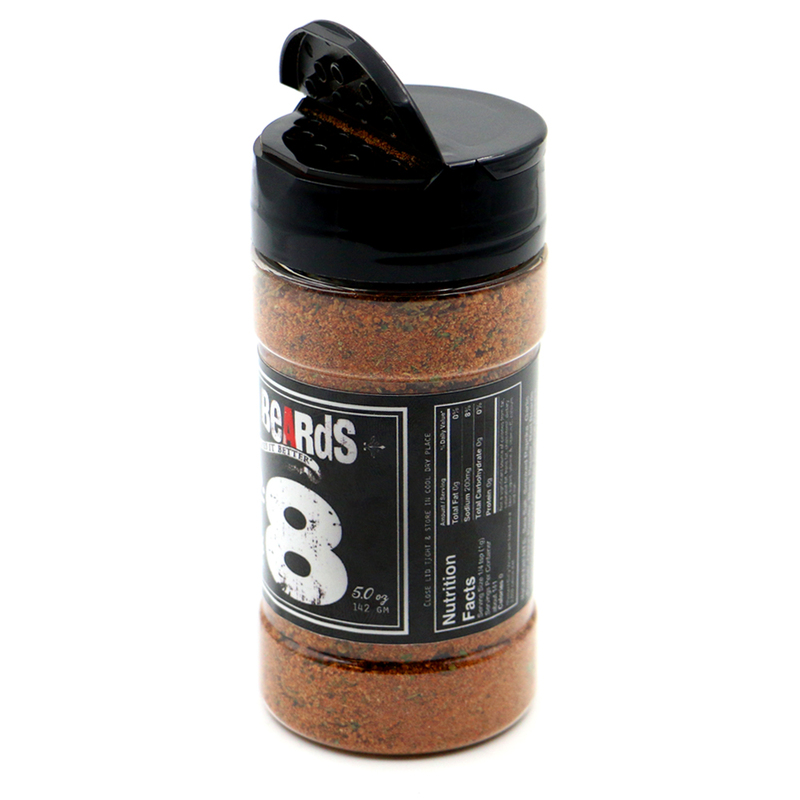 8 with a little brown sugar for a low and slow smoke or sweeten up your BBQ. Shake a little No. 8 on your morning eggs for a delicious wake up call.